From then on go to the website of SuperSport or use their app if supported. Please see supported devices between SuperSport and Unlocator at the bottom of this page. SuperSport is one of the biggest African online sports channels. It offers live FA Cup, Champions League, La Liga. 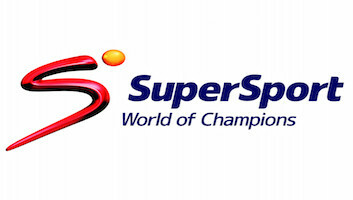 SuperSport also broadcasts rugby, tennis, golf, motorsport, and cricket cricket tournaments. SuperSport is geoblocked abroad. To watch SuperSport on Android, PC, Mac, iPhone, or iPad, use Unlocator. Get your free Unlocator account here. Unlocator allows you to bypass regional restrictions. All you have to do is sign up with Unlocator and setup Unlocator DNS on your streaming device. Check the list of compatible devices below for detailed instructions. Due to the fact that Unlocator only redirects your traffic partially, you will not notice and drops in your Internet connections speed. Once setup, you will be able to watch SuperSport in UK, US, Canada, France, Germany, Australia, or anywhere else around the world. You need to be a DStv subscriber in South Africa or the rest of Africa. You need to have your smart-card number (from the card in your decoder) in order to register.